Blend the ice cream, milk and butter flavoring in a blender until smooth. Swirl caramel inside the rim of the glass, then add in the butter-flavored milkshake. Top with Cracker Jack or your favorite caramel popcorn. This is the perfect dessert for the 4th! The best part? It looks incredibly easy to make. Thanks! It’s SOOO easy to make!! I had carmel corn on ice cream the other day and it was AMAZING! This looks soooooo good. Thanks Carrie! I thought it was pretty good too, especially with the caramel sauce mixed in! YUM!! love this!! 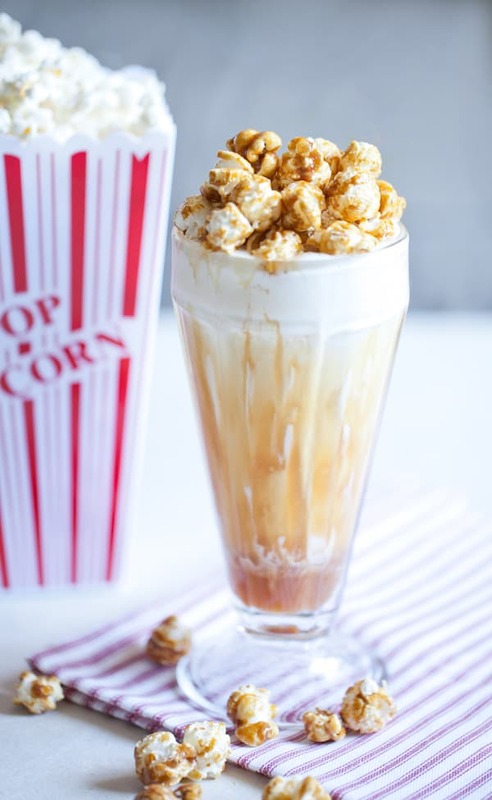 first time to your blog, thanks for sharing this recipe… the most perfect summertime, movie night, indulgent recipe and your photos are amazing! Thank you Tiffany!! I hope you make the shake!! It is PERFECT for a movie night! Wow, this looks delicious! 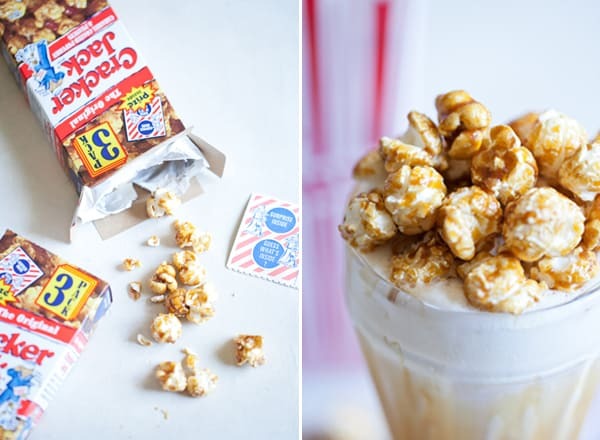 Would never have thought of using Cracker Jacks as topping for a milkshake! Such a genius idea for a milkshake!